For our 40th anniversary, we had our biggest event to date. What initially began as our quarterly in-house buying event quickly transformed into quite the extravaganza. 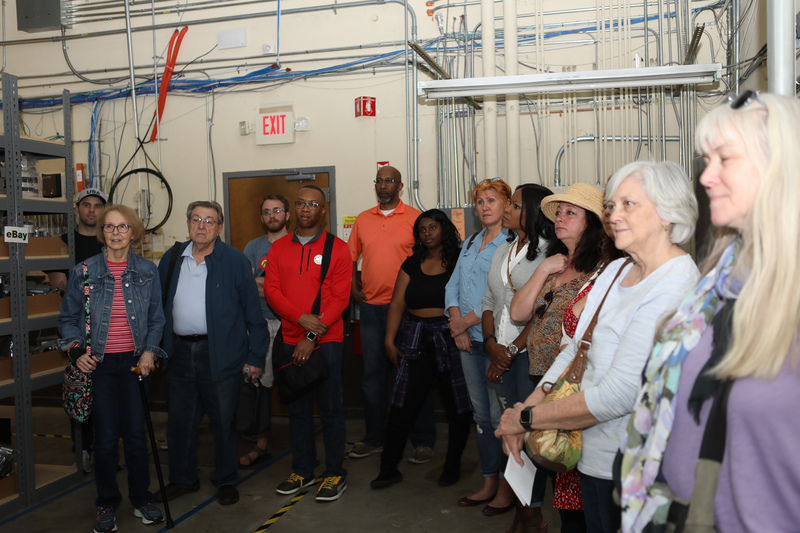 We had the pleasure of hosting many local customers, as well as some who traveled all the way from places like Texas and Florida to help us celebrate. With more than enough food to share and lots of love to spread, we're extremely grateful for all who celebrated with us, whether near, far and virtually. 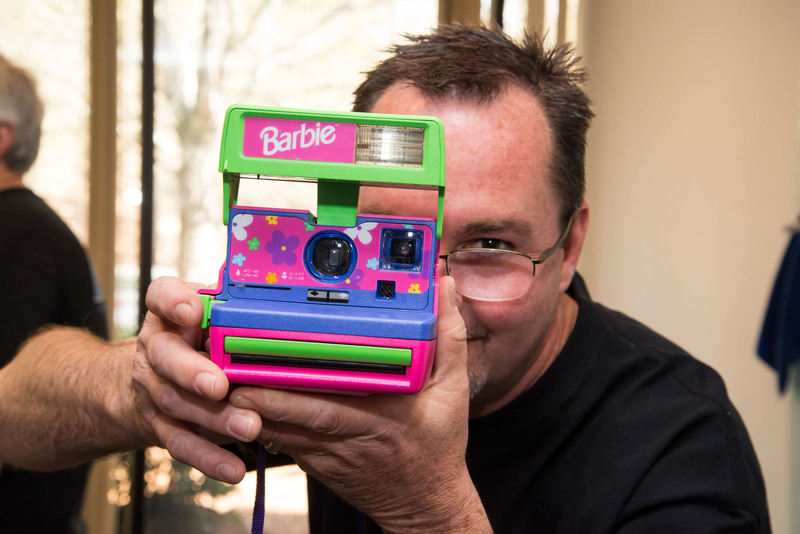 Let's take a look back at some highlights from our big 4-0! Our buying event was non-stop all day! 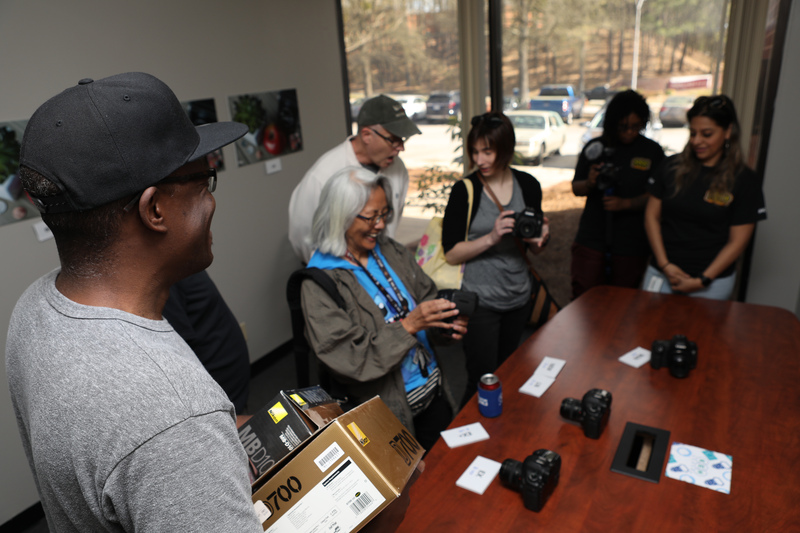 Attendees came in with unwanted gear and left with a check in hand. 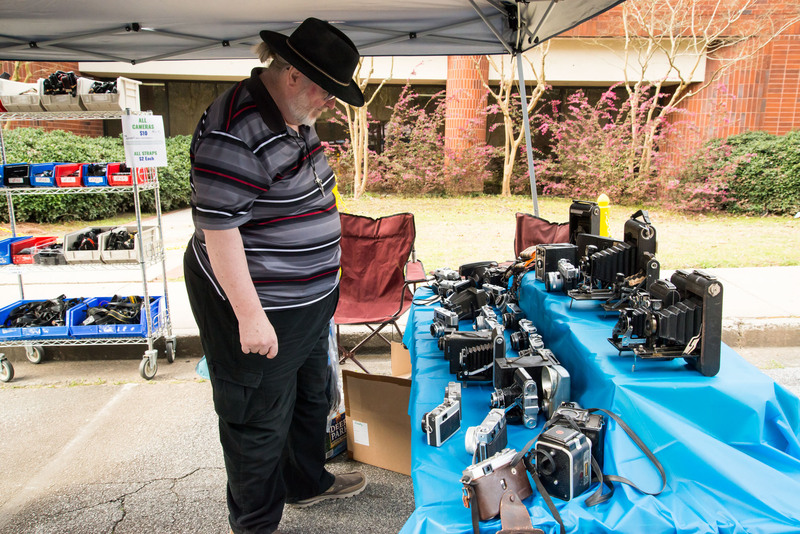 Our road buyers, Brent and Everett, inspected gear and handed out checks all day. They even acquired some rare equipment. 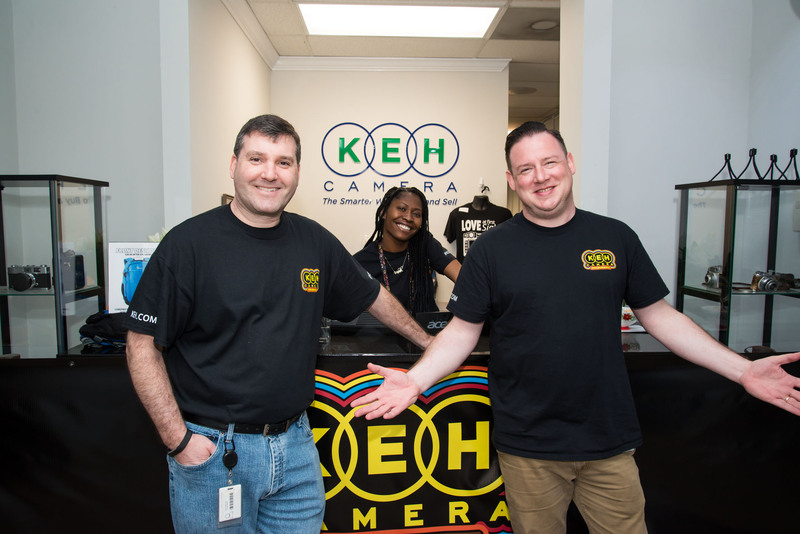 If you're interested in selling in person, we host our buying events in-house quarterly, and you can also find out when we'll be in your city by checking our upcoming events on KEH.com. 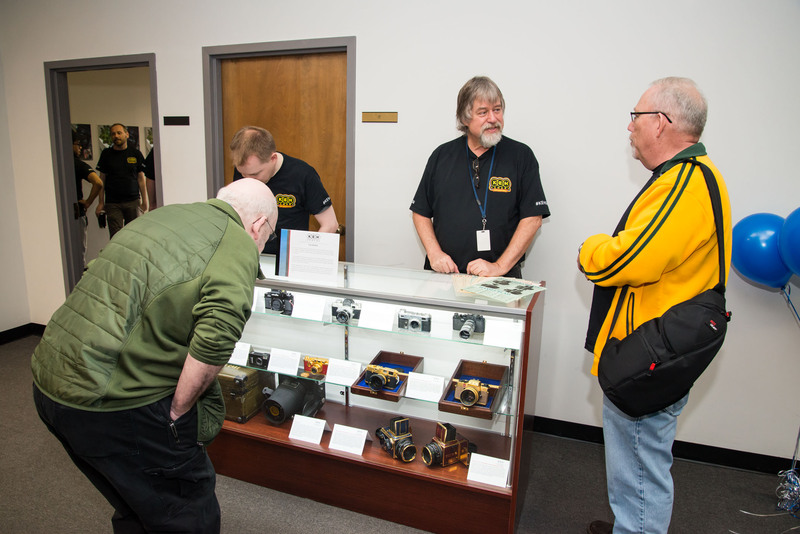 Our sales representatives kept busy as tons of customers wanted to leave with a new piece of equipment in hand. 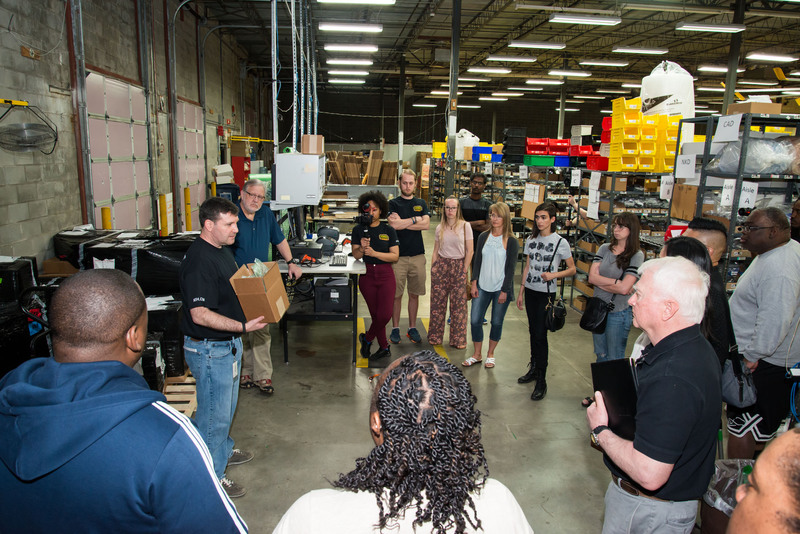 We had all of our sales representatives available as well as inventory runners ready to check out gear from our warehouse. Why Would You Ever Buy New? 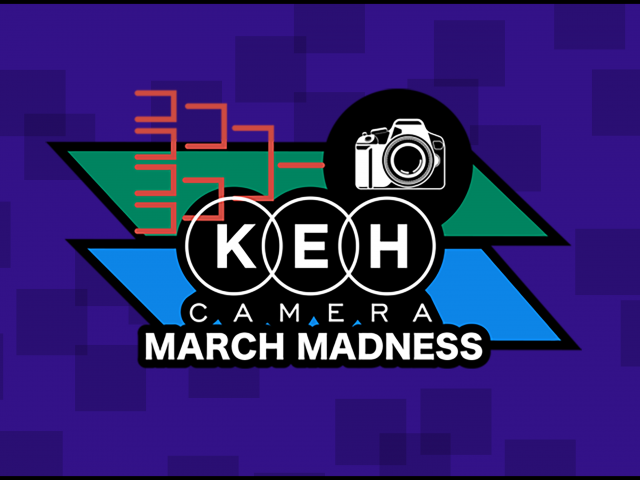 If you have ever had second thoughts about buying used camera gear before, your doubts were lifted after playing our fun game. 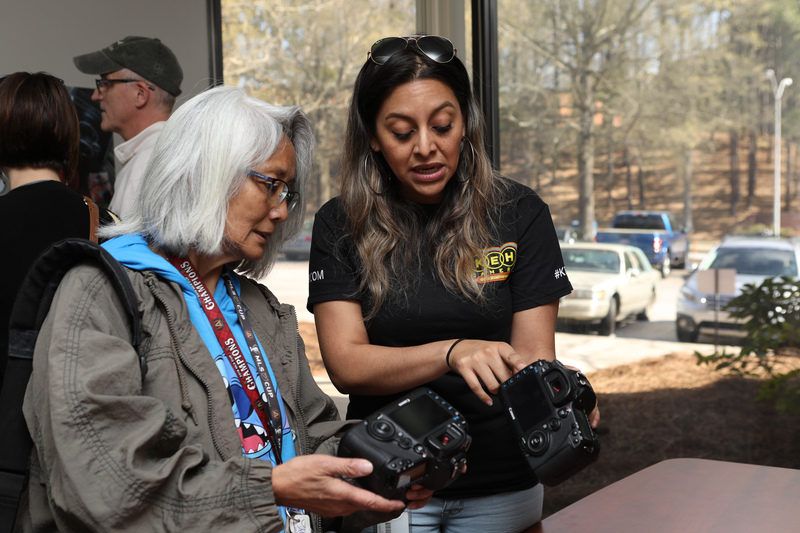 Our Digital Content Specialist, Luca, set up six Canon 5D Mk IIIs across different grades, from brand new all the way down to bargain—an $1,800 difference in price. 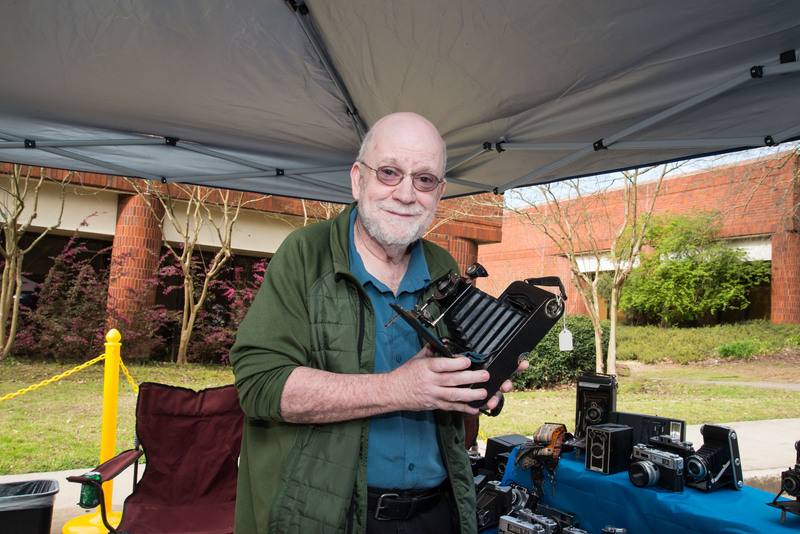 He even took photos with each camera and had then blown up to show the final product. 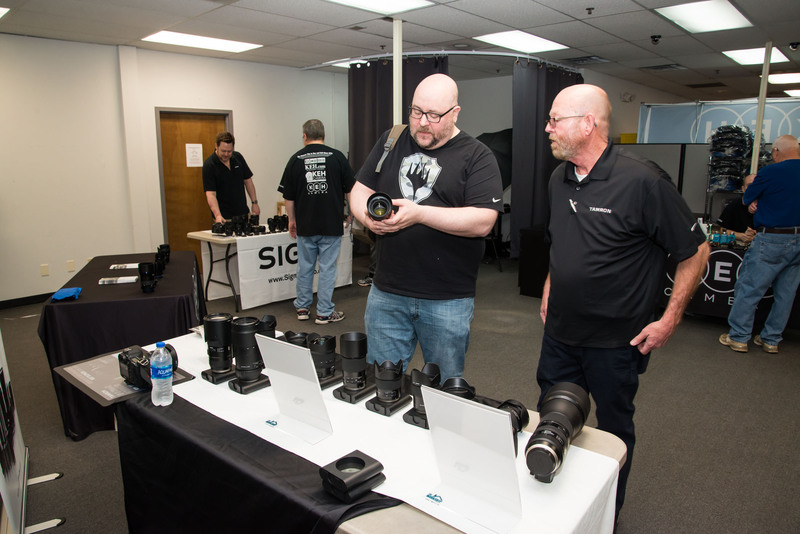 Could our customers accurately match each grade with the respective camera? Could they tell a difference between the photos? Spoiler alert, most couldn’t spot a difference in quality based solely on grades. Not only did they learn just how conservatively we grade items, at the end, they all came away asking, "why would I ever buy new when I can save a ton and get the same results?" 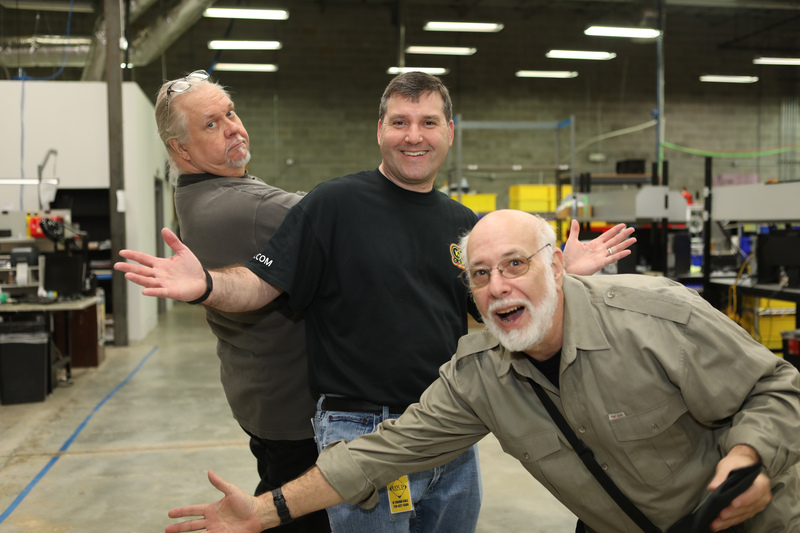 Members from our tech team were excited to share their deep knowledge about our grading and inspection process. KEH sets the industry standard with our conservative grading. 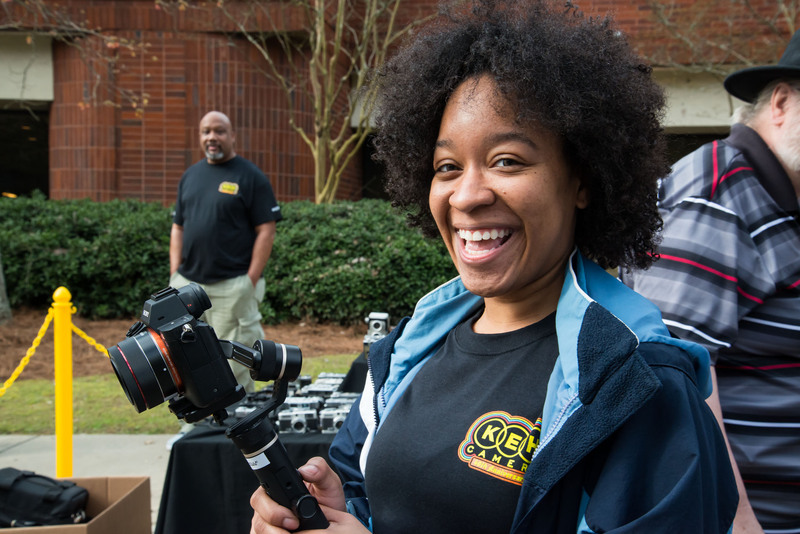 We make it possible for all photographers to purchase gear by offering affordable options. When learning about our grading, again, people asked themselves, “Why would I ever buy new?”. All of our repairs are done in-house. 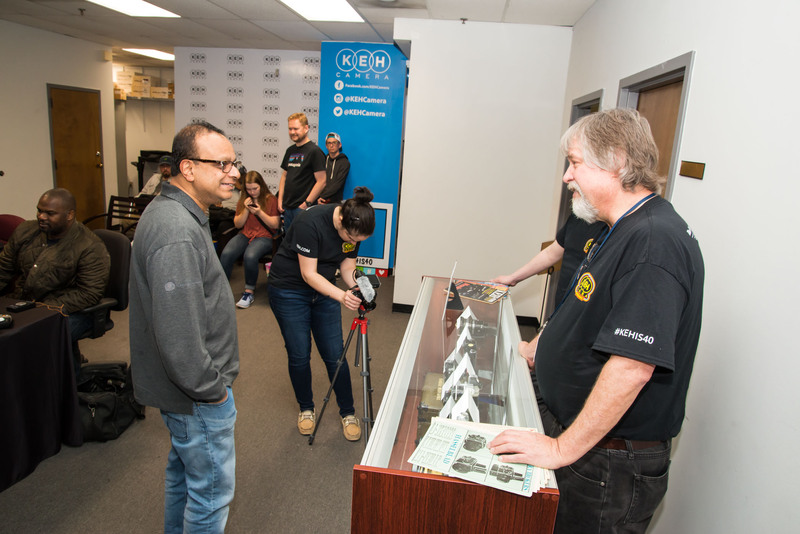 Our techs have decades of experience repairing all types of camera gear. 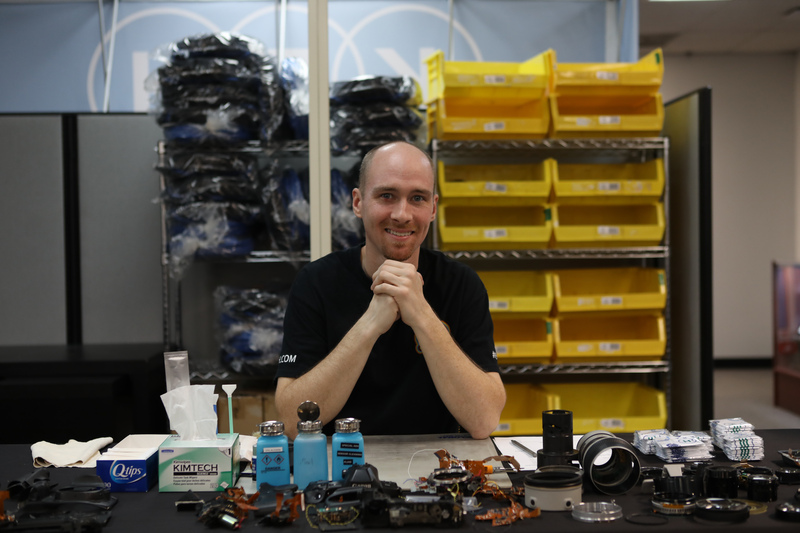 Brice, one of our Repair Techs, was available to share more about our services. We don’t get rid of anything! 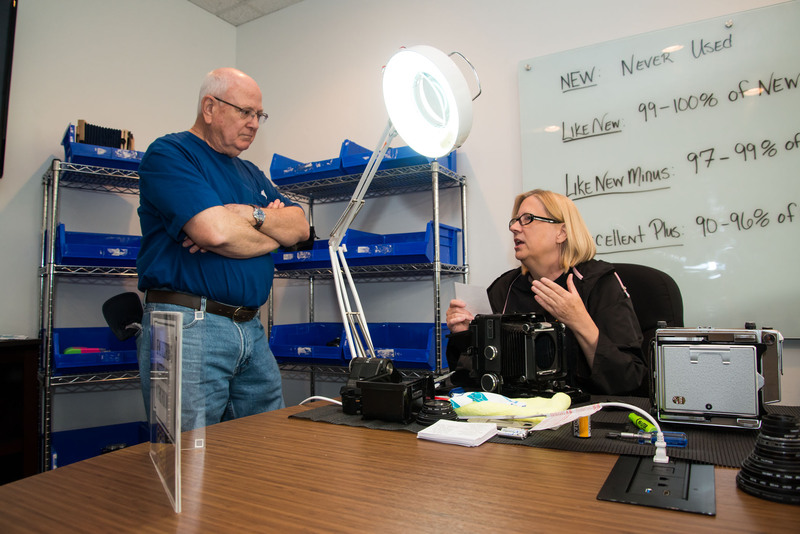 Camera parts are valuable and can be used during the repair process. For a limited time, we also offered $30 sensor cleanings on-site. 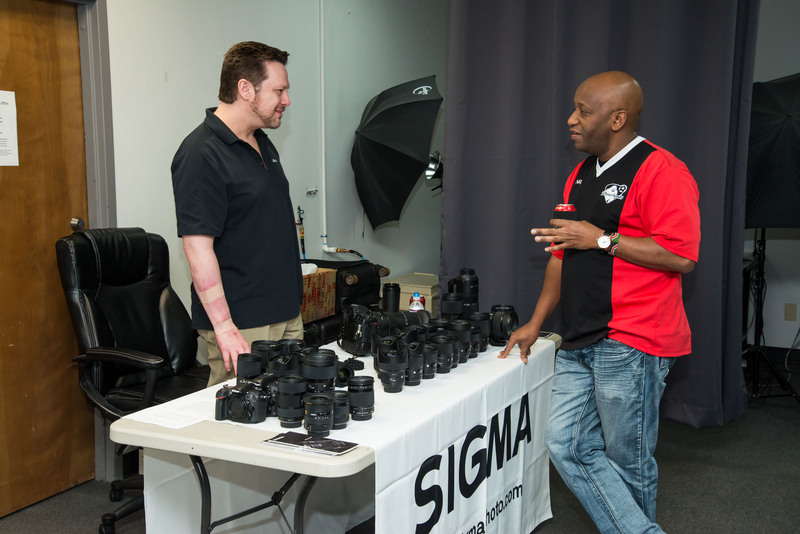 Representatives from Sigma, Zeiss, Tamron and Sirui set up tables with their lines of gear. It’s not everyday you’re able to get your hands on some of these items. We set up our own mini trade show! Before a lot of our customers made it inside, our garage sale roped them in. We had hundreds of overstock items for as low as $5 ready to find a new home. 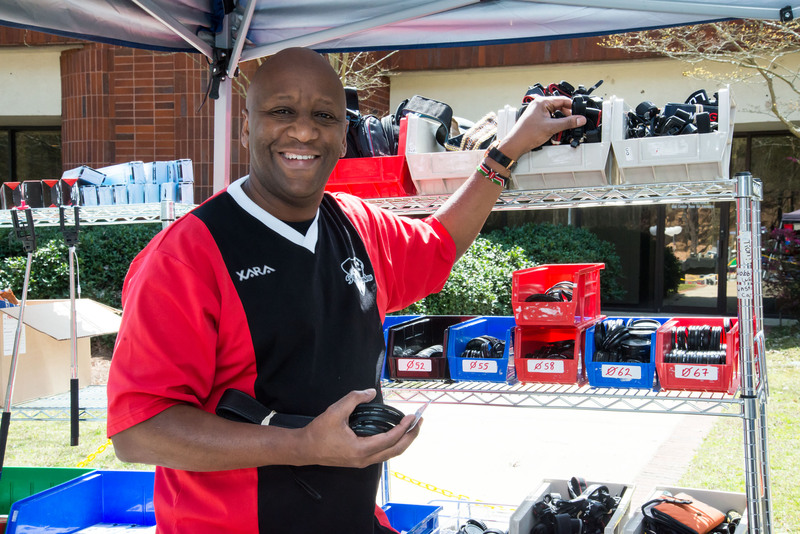 Many went home with film cameras, bags, and funky camera straps. We have these items available in our lobby during normal business hours, so stop by and give this great stuff a home. This was a special treat for our customers. 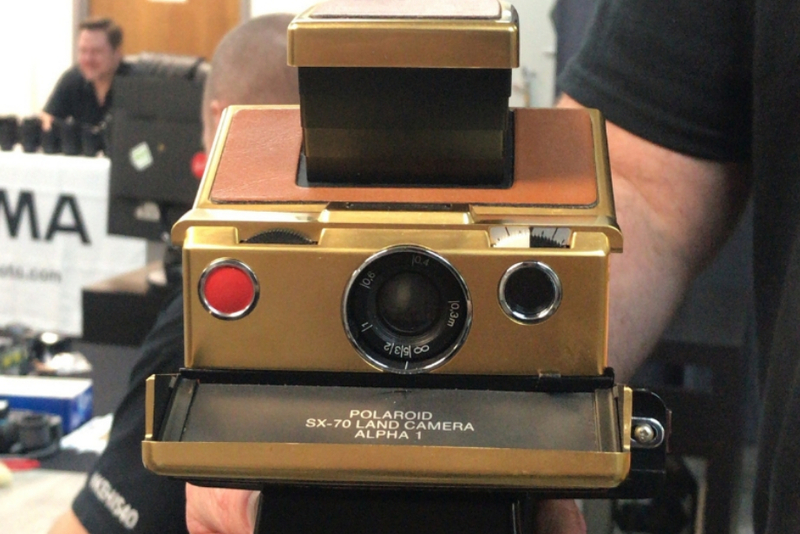 We have the world’s largest inventory of used cameras, and probably the largest collection of film cameras altogether. 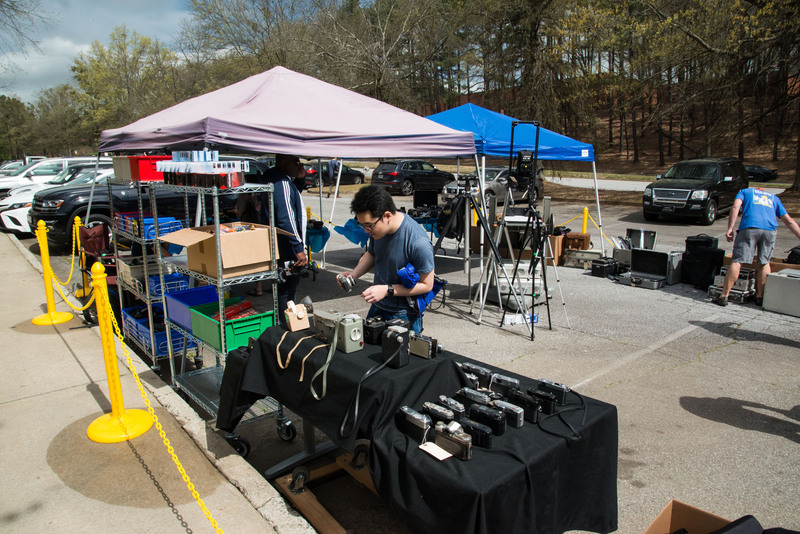 CEO, Jon Safran and Director of Purchasing, Justin Goldman walked customers through our process of acquiring gear, cleaning, testing and shelving all of our equipment. 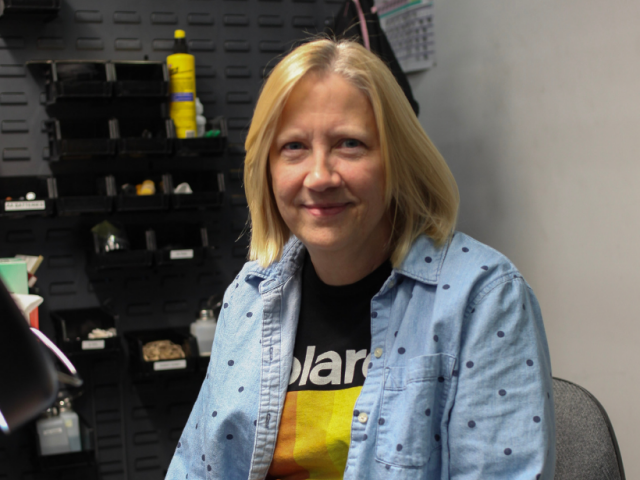 Mouths dropped, eyes widened and customer were simply stunned by the amount of gear our seemingly small location could hold. Each aisle of gear is carefully stored and labeled, so our team knows exactly how to fill your order. Your items are carefully packaged while awaiting pickup. 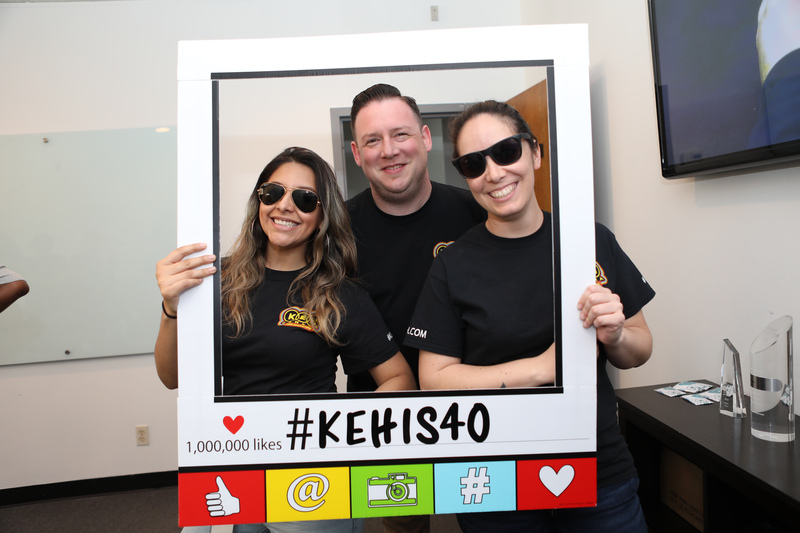 Our 40th Anniversary marks the largest KEH event to date. Thank you to all of our new and long-time customers who celebrated with us. A special thanks to all of our amazing team members who made this event possible. Hats off to 40 years and here's to many more to come. 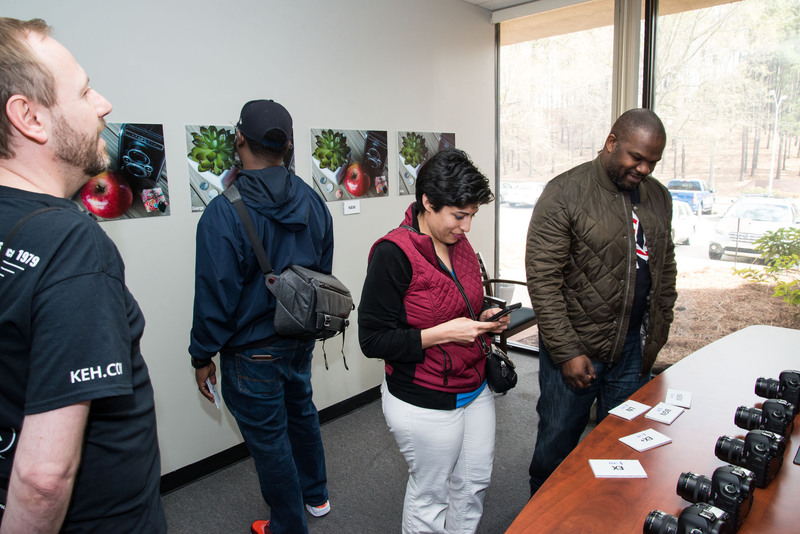 Do you have photos to share from our event? 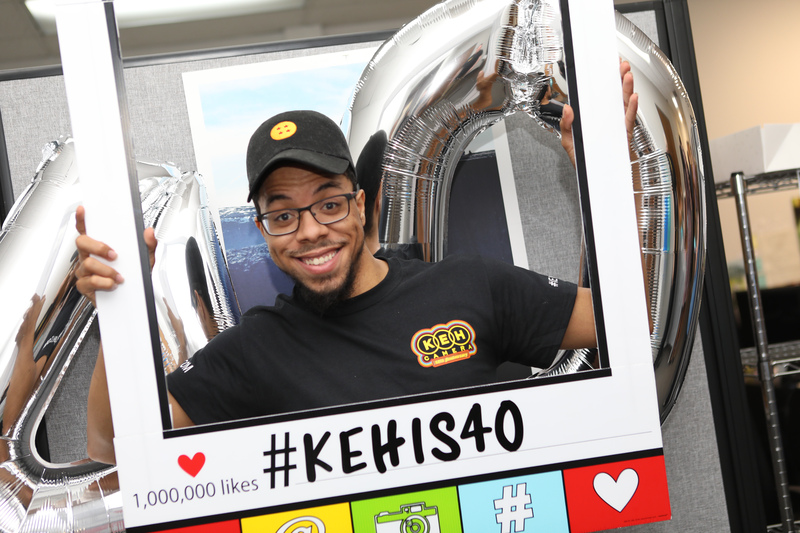 Tag #KEHIS40 in your photos on social media or email [email protected]. 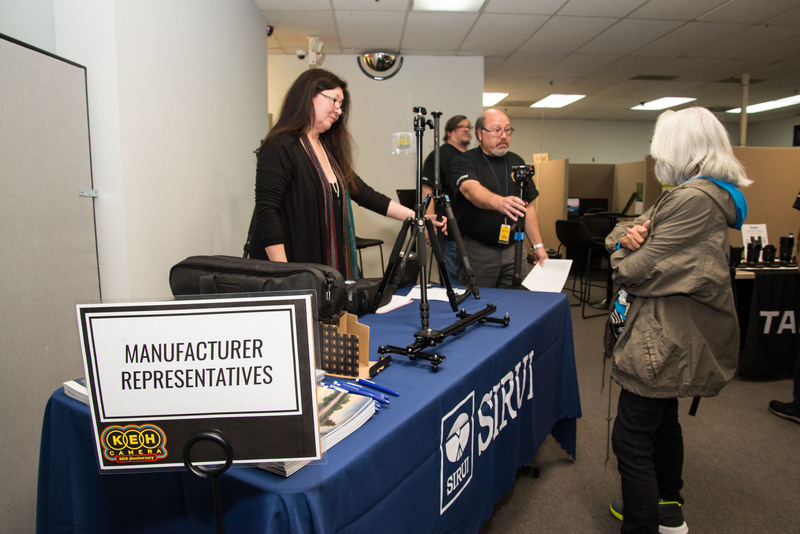 Check out more photos from our event on our Facebook page.